If you and your family love Star Wars as much as we do, you’ll love these. 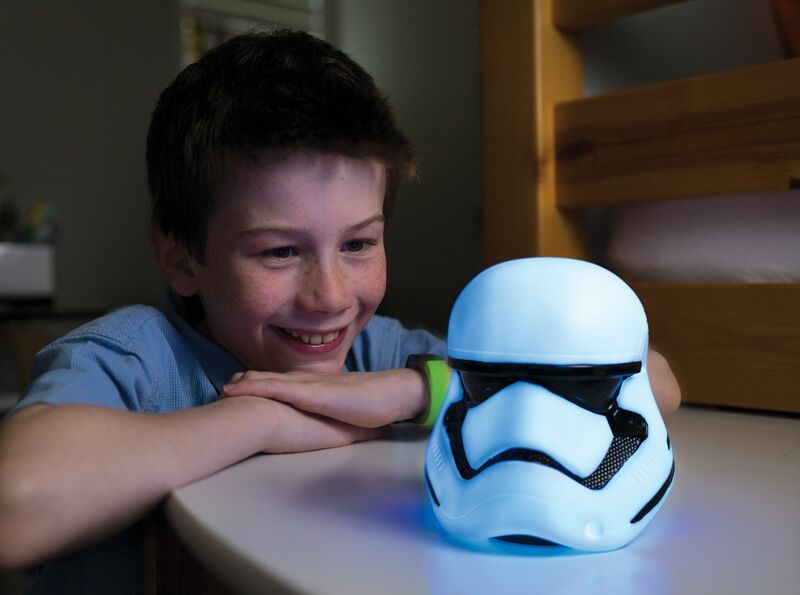 Spearmark have come up with an extensive range of Star Wars illumi-mates lighting for fans of The Force. They are colour changing, cool to touch lights in a range of hit characters from the iconic movies. Best of all they are child safe too. is released into cinemas on December 15th. It’s a perfect replica of the Storm Troopers seen in the new movie! Ieuan loves his which now has pride of place on his bedside table. Other choices in the range include: Millenium Falcon, Chewbacca, Kylo-Ren or Darth Vader to cast a moody glow across the bedroom. Each light is battery operated, with batteries supplied. RRP: £6.99 from a variety of stockists including Amazon, ASDA, B&Q, Debenhams, Sainsbury’s, Tesco and Wilkinson. And I have FIVE to give away to one lucky winner – what a fabulous Christmas present for any Star Wars fan! Entry is via the Rafflecopter widget and the usual terms and conditions apply which can be seen on my giveaways page. UK entrants only. The giveaway ends at 11:59 pm on Sunday 3rd December 2017. "Win SNOTCHA! From Drumond Park – The Sneeze Spraying Action Game"
"4 Tips For Spotting the Early Signs of Dementia"
This would make a great gift for a Star Wars fan. I wish I had someone to buy it for. My little boy would definitely say Darth Vadar! I’m sure my grandchildren have favourites but I’m afraid personally I have no idea who any of the characters are. Has to be Darth Vadar. The original baddy Darth Vader. Always remember when I first saw him when I was 7 & was really scared! Kylo Ren, my nephews and I can’t wait to see his new costume in ‘The Last Jedi’! It’s got to be Darth Vader, the original and best! we love Boba Fett ! He has a jet pack! its got to be darth vader! has to be Darth Vader! It has to be Jabba the Hut! Darth Maul is our favourite baddie in Star Wars! Got to be Darth Vader! The Legend that is Darth Vador !! Darth Vader, the best and the baddest! It has to be Darth Vader – the synonymous Star Wars baddie! A vote for Darth Vader here too! Its got to be the one and only Darth Vader! What an amazing prize! 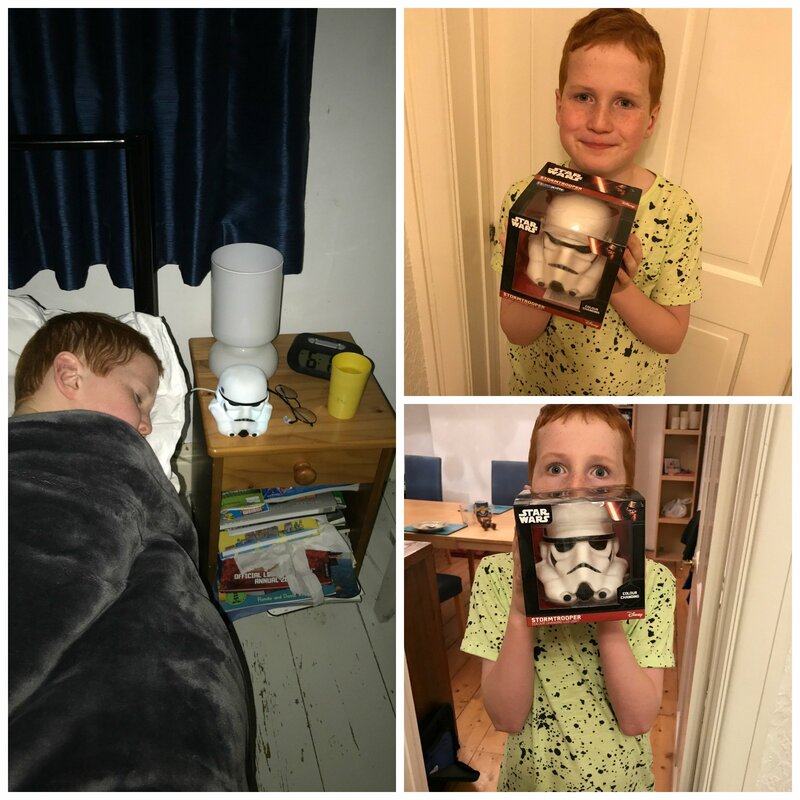 I have 4 sons – 8, 10,12 and 14 who all love Star Wars! They would be over the moon to have these! Cr0ssing fingers! Thank you! Darth Vader because he didn’t start out bad and I like to think he still has a heart in there somewhere. It has to be the one and only Darth Vader! Darth Maul and he even looks scary too. Loved Jabba The Hutt!!! .. He was scary, yet cute! lol !! ‘ Glowing’ with badness, but, he always ‘lit’ up my day !! Darth Maul – he looked so evil. Grand Moff Tarkin, Peter Cushing makes a great baddy.